There are a lot of Chuckwagon fans out there, many of whom have been fans for decades (and we totally understand the enthusiasm!). But there may not be many people with a tale of Chuckwagon love lost—and then found again. Will “Roach”* Pylkas has that story. He was set to be a fan for life, but a detour to college and the beginning of a decades-long career in law enforcement in other parts of Michigan interfered; in his new setting, he couldn’t find the Chuckwagon. Years went by and he made do with other options. But he always kept looking. Delighted to have found them again, Roach plans on adding them to the Roach Manor guest menu for when he has visitors. He’ll even offer the option he experimented with: Adding a slice of provolone cheese. “It’s off the hook,” he said. *Pylkas gave himself the nickname Roach after an unfortunate incident that occurred when some brownies, which were brought in to welcome him to work as a new undercover officer, were left overnight in a spot where wily cockroaches were quick to detect them. Rest assured, he will never let that happen to a Chuckwagon. We Came a Long Way to Bring You Hot to Go! This month on our Facebook page (and if you haven’t already, come over to Facebook and like us! ), we’ve been highlighting some of our many Hot-to-Go Sandwiches. 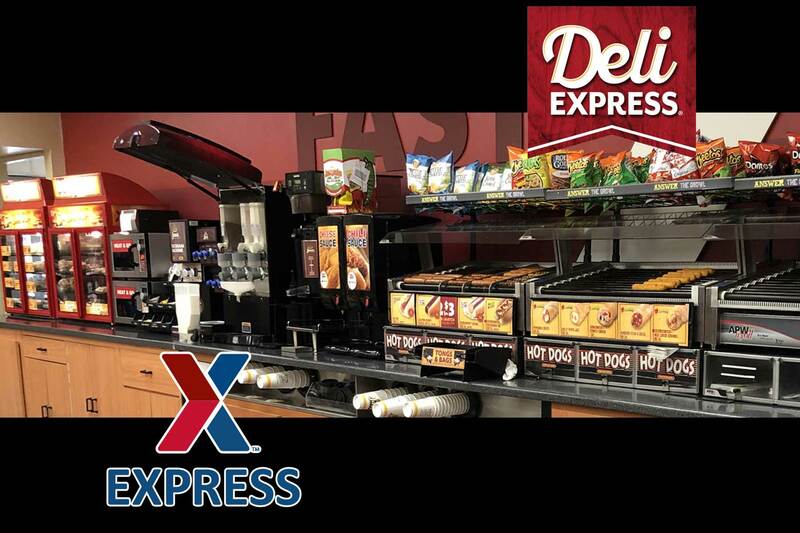 Deli Express, along with our parent company E.A. Sween, has a long, fun history with providing hot sandwiches for people on the go. 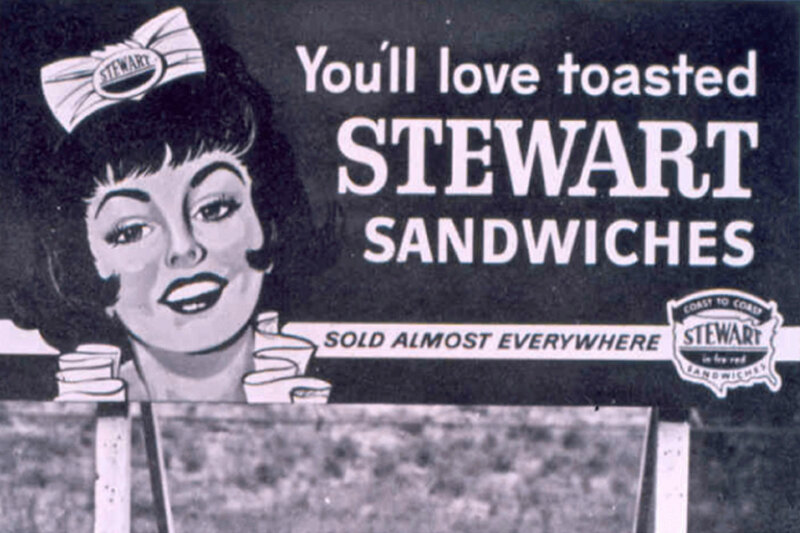 Earl August Sween started a Stewart Sandwich franchise in Bloomington, MN in 1954. Eventually he left Stewart and created a company bearing his name. In 1998, we solidified our vision of being able to provide all Americans “on the go” with a Deli Express sandwich, and to this day, we want to do everything to make sure you’re good to go! Mornings are great—if it’s a Saturday morning when you don’t have to be at the ice rink for hockey practice at 7 a.m. Otherwise? Oof—getting kids to school, daycare or sports, adults off to the adult part of the day, dogs to doggie daycare—it’s a rush that often seems crazy-making. 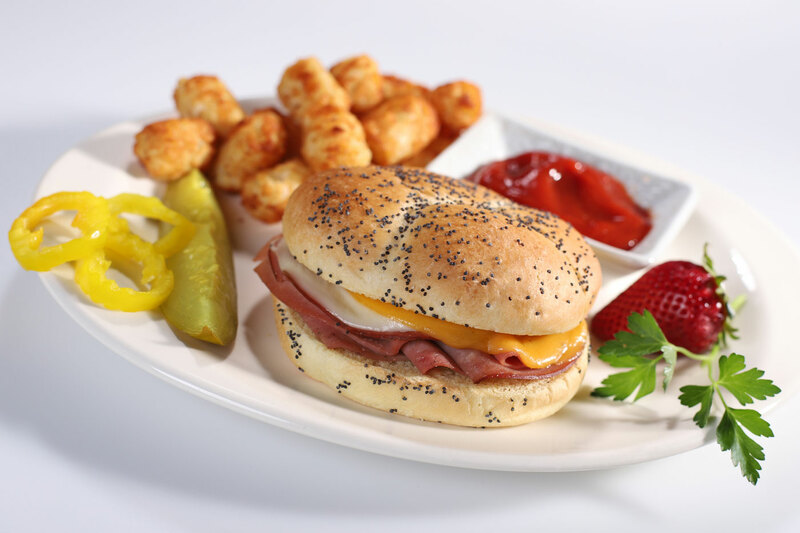 Take advantage of our Hot-to-Go Breakfast Sandwiches to make the start of your day a lot easier and a lot more enjoyable, with something for everyone in your household. 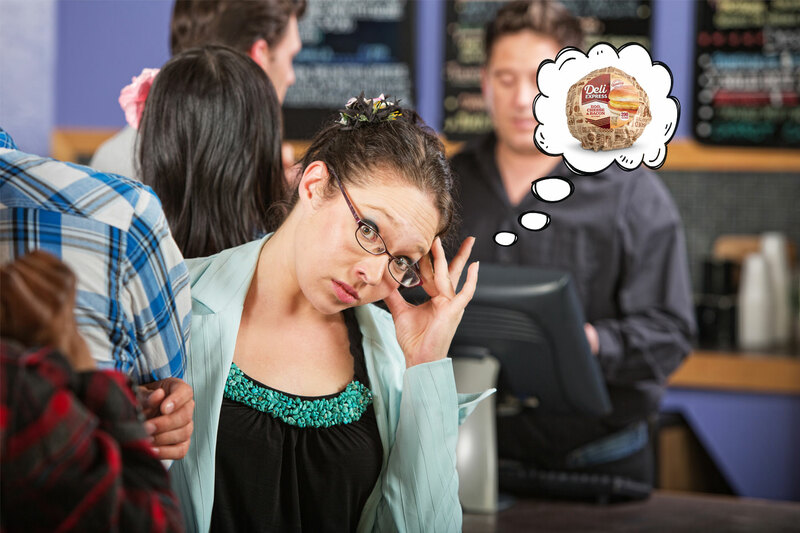 Don’t wait in a long line at a bagel shop when you can grab a Deli Express Bacon, Egg & Cheese Bagel. All the deliciousness in a fraction of the time. Feeling the need for a lighter bite? Try the Egg White, Ham & Cheese on an English Muffin. All the flavor and protein without the cholesterol of the egg yolk. Pair with some fresh fruit or fruit juice, and feel good. Go back to basics: The Sausage Biscuit or Chicken Biscuit Sandwiches give you delicious, hearty meat in a flaky pastry. Add some yogurt or fruit juice to round off that first meal of the day. It’s the end of 2018, the beginning of 2019, and the time when people make resolutions. 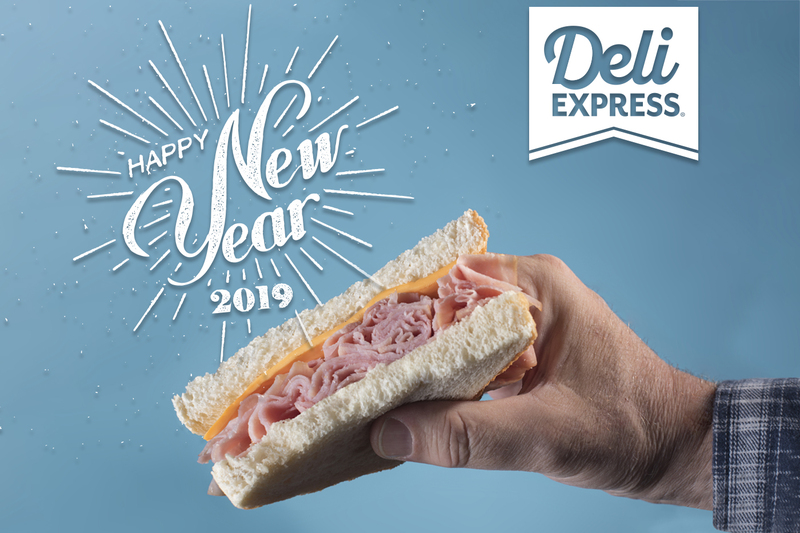 Here at Deli Express, we have a recommendation for you: Don’t make a resolution. Just look at that word: Resolutions. It’s so serious and ominous. And it’s all too easy to think you have to make huge, life-changing commitments that you maybe do or don’t want to make. Which is likely at least part of the reason that as many as 80% of resolutions made aren’t kept. Instead, try this: Make promises to yourself. What kind of promises? Be kind with yourself. Does your morning often begin with “I should have, why didn’t I, if only I’d…”? You’re human. Cut yourself some slack. Be kind to others. You may never know how much that scowling person on the street needed a smile from a stranger. That’s OK. If you gave the smile, you were kind. Take a hard look at family commitments. Anything you can cut out to build in more down time? Being constantly on the run is stressful. Find moments to stop. Let go of the “perfect” ideas. Your home doesn’t have to be perfectly clean. You don’t have to serve four-course meals every night (or, actually, any night). It’s OK to be good enough. If you do have concrete things you want to accomplish in 2019, find ways to break them down into small chunks. “Become a master gardener” is a big, big task. “Cut up a little square in the corner of the yard and plant three kinds of vegetables” is much more manageable. Take a night off now and then. 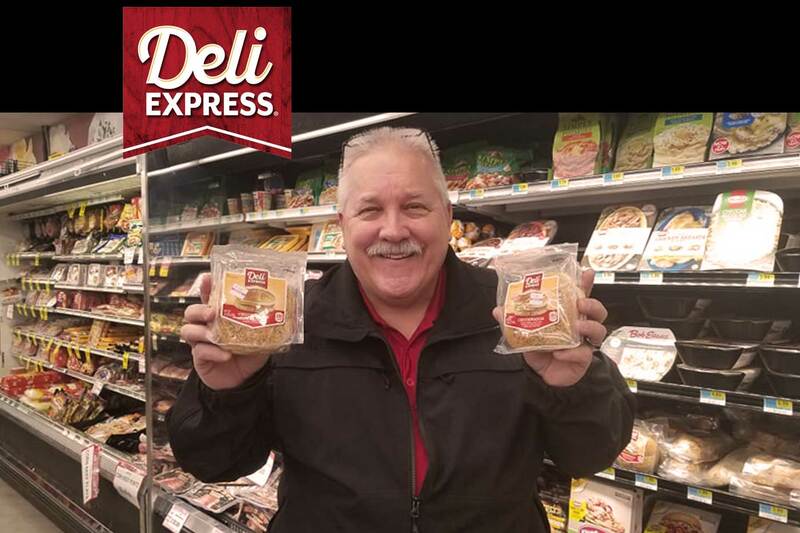 Bring home Deli Express sandwiches for dinner and spend time with the family, rather than scrambling to make a meal. Whether you’re an undergrad or grad student, finals week can loom heavily in your schedule. It’s easy to become overwhelmed at everything you need to study and learn, and let anxiety drive your response. The more you can manage your stress, the better you’ll be prepared when test day arrives. Here are some tips to help you through the lead-up to finals week. Get some sleep. It seems counterintuitive—sleep, when you have so much studying and writing to do, when people around you are pulling all-nighters? But yes—build sleep into your prep schedule. A good night’s sleep has advantages that are important during finals week: When we don’t get enough sleep, we have trouble concentrating, and may even have difficulty remembering things. Since remembering things is key to finals week, adding sleep to the equation isn’t just a luxury—it’s a necessity. Break it down and set a schedule. Don’t look at that European history textbook and think, “I have to read 300 pages!” Instead, break it into smaller sections, and put them on your calendar on your phone or tablet, with reminders. Bit by bit, you’ll work through them with less anxiety. Take a break. Another item to schedule: Breaks. Every person is different; some people need short, frequent breaks, while others need fewer, but longer, distractions. But no matter which is best for you, don’t skip them. Taking a break gives your brain a much-needed rest, and you’ll return with more energy and focus. But when you’re not on break, turn off the social. It’s an easy temptation: “I’ll just send a quick Snapchat or spend a minute on Instagram.” But a minute or two can quickly spin out of control, and before you know it, you’re way behind on the schedule you carefully set. Better plan: Schedule plenty of down time to happen as soon as finals week is done. Four-legged therapy. An increasing number of universities and colleges are bringing in therapy dogs during finals week. Take a break from cramming for a calc final and cuddle a pug or a golden doodle. It will do wonders for your mental health, and it only takes a few minutes. Life is always better with puppy kisses. Eat. 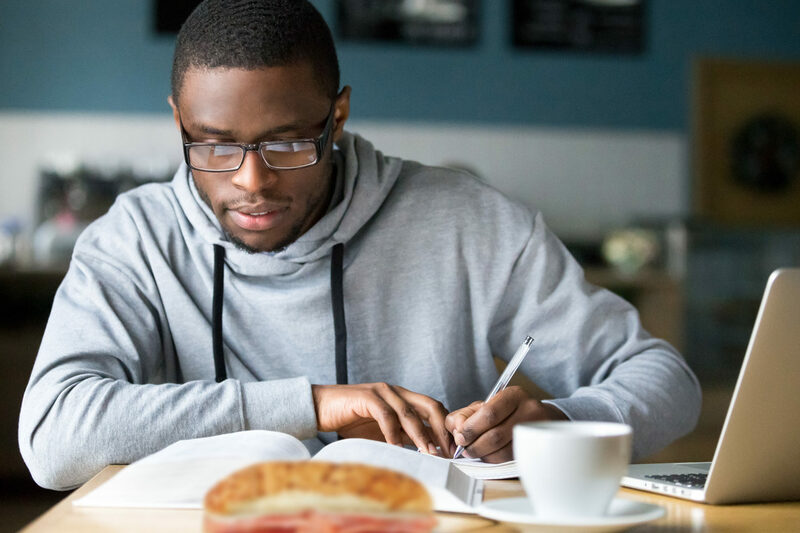 Don’t skip meals to study. Your body—and your brain—need nourishment. Skipping meals deprives them of what they need most to keep you going. Grab a Deli Express sandwich, a piece of fruit, and a big glass of water. Your body and brain will thank you and be better able to help you during finals week. Thanksgiving came and went, and now we’re heading straight into that crazy-making month: December. 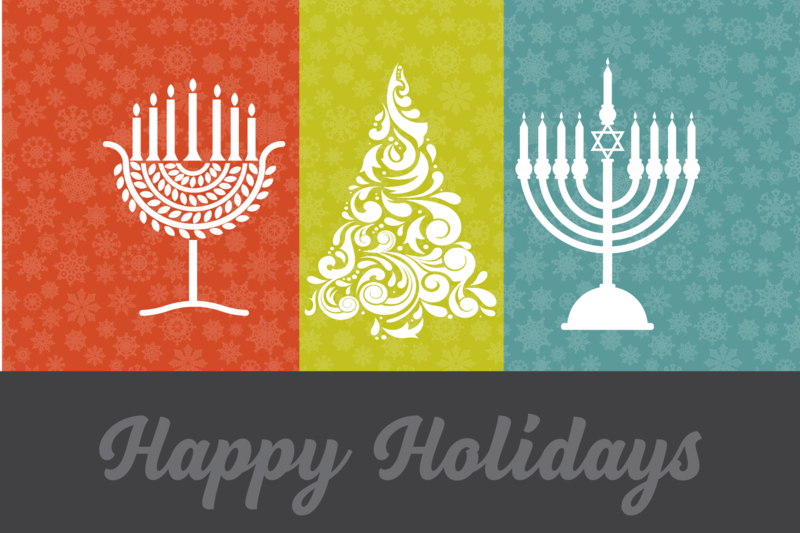 No matter which holidays you celebrate, the pressure is on. 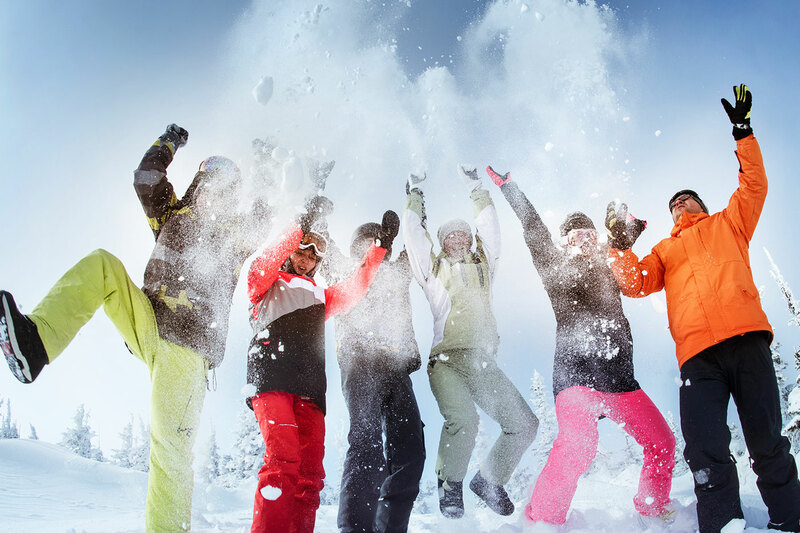 We have some suggestions to help you manage this season and hopefully make it cheery and bright. Cut back. Will the holiday be miserable if you don’t serve an 8-course dinner? What if the adults in your family draw names and just buy one gift, rather than gifts for everyone? Instead of decorating the house until it’s something Clark Griswold would envy, go low-key: a smaller tree, lights just around the front door rather than across the whole exterior of the house. Do you have someone in your life telling you that “everyone” must attend certain events? Let them go on your behalf. Make sure everyone gets some “me” time. Mom, Dad, kids—everyone needs a bit of down time. Instead of saying yes to every holiday invitation that comes along, set a maximum—no more than one event per weekend. Then carve out time for everyone to relax. Ask for help. You don’t have to do everything yourself. Ask your spouse, your parents, your kids as they get old enough to pitch in. Holiday gifts don’t have to be perfectly wrapped; let your kids help, even if it’s messy. Your parents might be more than willing to take on side dishes for the holiday meal. And when dinner is over, everyone needs to help clean up. It’ll go much faster, be less stressful—and it might even be fun. Let go of the idea that things must be perfect. Every smiling family on holiday commercials on TV seem to say: “Be perfect!” But in the end, people aren’t going to remember if your house was spotless or your table perfectly set. They’re going to remember laughter, togetherness and joy. No amount of dust bunnies can disrupt that. Take shortcuts. You’ve got the next 11 months out of the year to put homemade meals on the table, show up for every piano lesson, or make homemade outfits for the kids to wear in holiday photos. In December? Order outfits online, cancel a few piano lessons (your piano teacher will likely thank you), and don’t hesitate to bring home the family’s favorite Deli Express sandwiches for dinner. Put some carrots and dip on the side, and you’re good to go. Deli Express sandwiches are great as they are. But it can also be great to try some additions to change this up a little. We recently asked our customers how they customize their Deli Express. Of course, we were delighted when people said they’re perfect as they are, we were also delighted to learn some options for changing things up. You can never go wrong with the basics of ketchup, mustard and mayo. There’s a reason these three have been sandwich favorites for generations. Take a step from basic condiments to specialty items, like sriracha mayo, flavored mustards, horseradish sauce, oil and vinegar, hummus, guacamole or tapenade. Rethink how you heat the sandwich. One customer prefers to put the whole sandwich in a toaster oven, while another toasts only the buns and heats the meat and cheese in a microwave. That will give the bun a crisper, toastier texture. Veggies are always a great addition to a sandwich. Try pickles, or even raw cucumbers; lettuce, tomato, onion, sprouts, avocado, spinach, sweet bell peppers, even sauerkraut or cole slaw. Like a little heat? Our sandwiches pair wonderfully with jalapenos (raw or pickled), chipotles, poblanos and banana peppers. Or if you really like the fire, try habanero, ghost or—gasp—the Carolina Reaper. Remember: Dairy products help put out these kinds of fires better than plain water. 6 tips to help make packing school lunches a breeze! If your family bypasses the school cafeteria lunch, the good news is that you have more say in what your child eats. The bad news? You need to make sure they have a lunch every day. Kids need a nutritious midday meal to keep them focused throughout the afternoon. Sometimes in the rush and hustle of busy school days, getting lunches together can become one more chore. Here are some ideas to keep things moving smoothly. First off? Deli Express® is here to help—our sandwiches make great portable lunches. Have the kids help. Even a kindergartener can go to the fridge and pick out some fruit to go with the sandwich. Older kids can do more complicated tasks, like spreading peanut butter between crackers and putting them in a sealable container for a snack. If they help put the lunch together, they could very well be more likely to eat it and not complain. Customize. Again, this is something you can do together. If your child likes mustard or mayo with the Smoked Ham & Cheese, help them add some. Plan a good side. Rather than just a piece of fruit, consider putting some hot soup into a thermos for them for a really filling, nutritious lunch. Or add a small container of fresh carrot and celery slices with a little dip. Keep it together. Whether you use insulated lunch boxes or brown bags, plastic bags or reusable containers, keep all the supplies in one spot. That way no one wastes time or energy trying to find the relevant supplies. Prep the night before. A few minutes in the evening can help the mornings be less stressful. Clean and cut up fruit or veggie slices, assemble lunches as far as you can, set out things like thermoses for hot soup so they’re ready to go first thing in the morning. Let the picky eater have some control. You’ve got one that only wants an Oven-Roasted Turkey & Cheese sandwich every day? Go with it. Many kids go through a phase where they only like certain things. It’s likely they’ll grow out of it. And while they’re in it, it sure makes planning lunches easy.